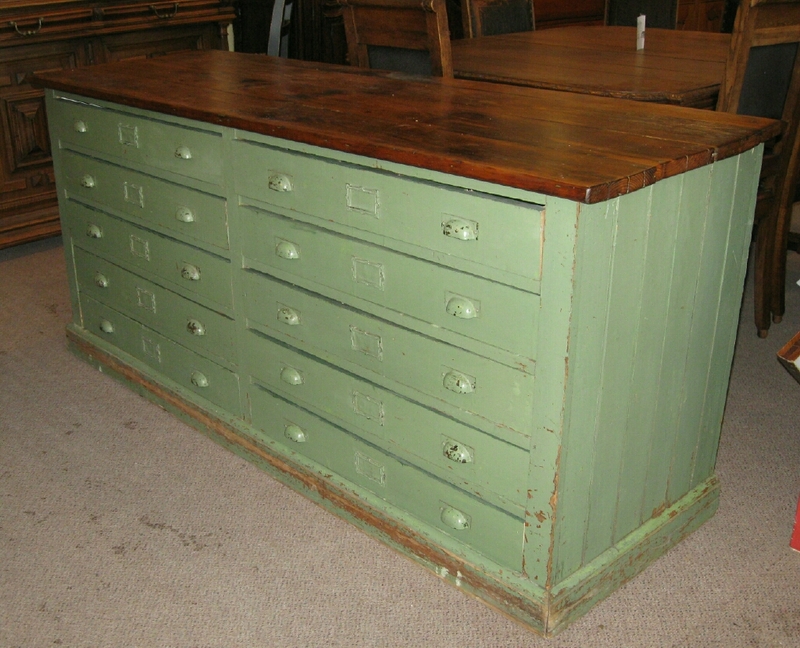 Industrial counter with 10 drawers and a pine top in a old green paint out of Cambridge Ontario. Circa 1920. 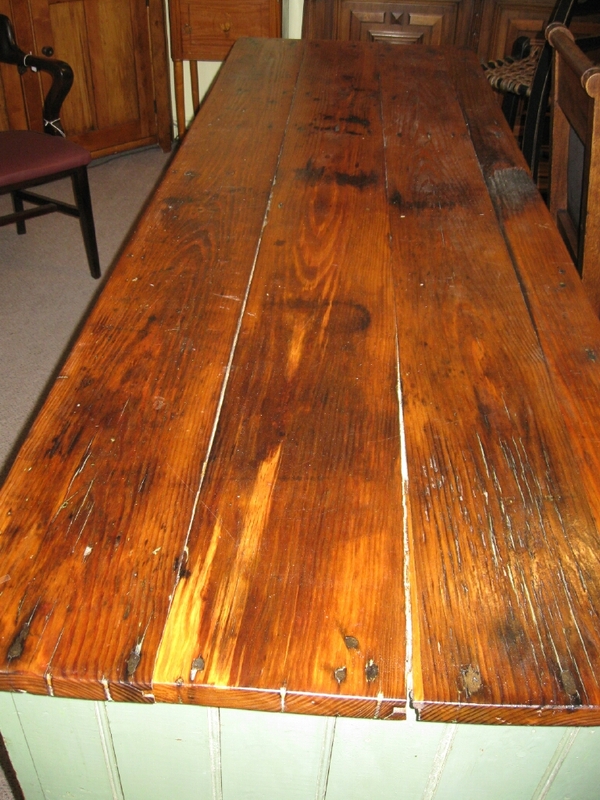 It measures 75 inches long by 24 deep by 33 inches tall.